128 pages | 2 B/W Illus. Authentic leadership is an approach to leadership that emphasizes building the leader’s legitimacy through honest relationships with followers which value their input and are built on an ethical foundation. By building trust and generating enthusiastic support from their subordinates, authentic leaders are able to improve individual and team performance. Many scholars and practitioners of authentic leadership say that the number one quality of an authentic leader is self-awareness. Self-aware leaders are transformational. Armed with self-awareness they build engaging, cooperative teams. How to gain and sustain self-awareness is the focus of the book. This book addresses current leadership challenges in health care and gives leaders guidelines for finding, living and sharing their authentic voice at home and at work. 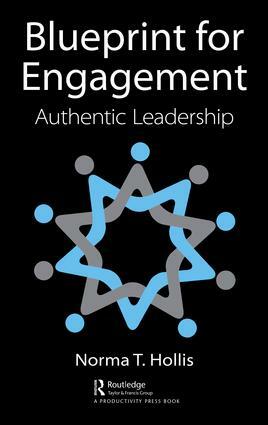 It is a much needed handbook to give current leaders perspective and practical tips to being more authentic, communicating more effectively while building engaging rapport across the organization. Additionally, a focus of the book is patient satisfaction. With a focus on nurse and physician leadership, this book provides new perspectives and action plans to increase patient satisfaction through communication that speaks to the needs of the patient in authentic and engaging ways. A glimpse of leadership perspectives from the industrial age to the coming empowerment age. The difference between being authentic and being an authentic leader. The challenges in the healthcare industry relating to authentic leadership. What it means to be an authentic leader in health care and the characteristics of authentic leaders. Introduction to a framework for gaining personal authenticity and self-awareness. Brief explanation of the framework and how it is applied in the book. What it means to have a healthy inner voice and why it is important in health care. How to communicate effectively with self. Intuition – listen: authentic leaders learn how to listen to and trust their intuitive voice. It is the foundation to listening to and maintaining rapport with team members. Inspiration – Inspire: authentic leaders find ways to stay inspired and be an inspiration to their team. Indicators of a healthy outer voice. How to communicate effectively with others. Net wellness – health: a global view of wellness and how it effects leadership. Net Wealth – Be Joyful: net wealth as abundance and joy more than profit. Authentic leaders are role models for joyfulness. Expressing your authentic self. The role of leaders in society. Building rapport and communicating with the community. Legacy – Know your Gifts and Talents: authentic leaders know and share their natural gifts and talents. They also respect the natural gifts and talents of team members and integrate gifts into the job when possible. Likeability – Be Likeable: Authentic leaders have team members who like them and each other. This increases the engagement within the work environment. Lifestyle – Create healthy habits: Habits of collaboration foster team growth. Habits of discipline foster productivity. The authentic leader fosters both. The authentic leader aligns personal goals and values with those of the work environment. Addresses special needs of executive leaders. How authentic leadership impacts patient care. It’s all about the team of employees. Perspectives from an HR professional. Norma T. Hollis is an international authority on authenticity and self-awareness. As a writer, speaker, consultant, trainer and coach, she teaches people how to be authentic leaders. Norma’s interest in authenticity began in her childhood when she suffered excruciating pain due to ear aches at ages eight and nine. The adults in her life didn’t help her learn how to manage such pain. In her mind, they were inauthentic. This led her on a lifelong quest to learn why people behave as they do. She researched human nature from personal and professional perspectives for over 30 years while earning degrees in Child and Family Life Sciences as well as Leadership, directing large child care programs, and becoming the first black woman to own a speakers bureau for black speakers. Norma is a pioneer in many areas of life. She writes programs to address the human condition then teaches others to deliver its contents. In this book she shares her Authentic Voice System, a self-awareness program that is especially important for leaders. Following the system will help you to know yourself in new and important ways. It’s a must read for current and future leaders and the teams they lead.